Our gift certificates allow the recipients to determine for themselves exactly which services they need and design a tailor made program with our client service coordinators. Friends, family, or fellow club and group members can get together and give the gift of care. 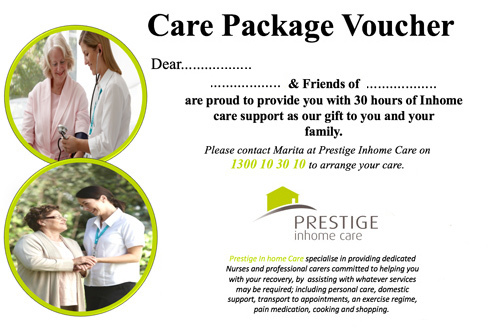 For more information or to purchase a Prestige Inhome Care gift voucher, please contact our head office on 1300 10 30 10.